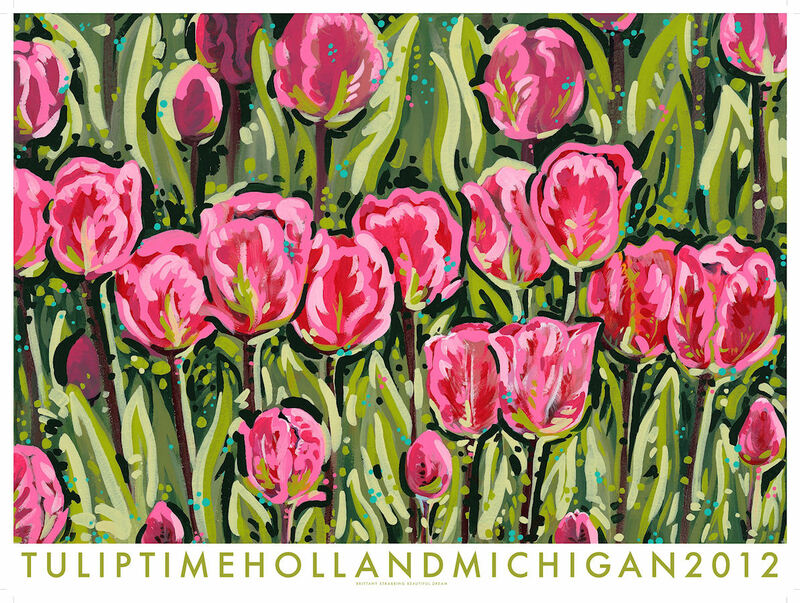 Is a trip to the Netherlands for tulip time out of the question? Don’t despair. Colorful vestiges of the Dutch tulip obsession are sprouting in several Midwest locations. Dutch immigrants left more lasting impressions than wooden shoe footprints in Michigan, Iowa and elsewhere. Their love of tulips was contagious and spread far beyond their settlements. Given this year’s Sun Belt winter and spring heat wave in most of the Midwest, who knows when the tulips will blossom. Not to worry, I’ve learned of places worth a visit with or without tulips. For instance, there’s Chicago’s Magnificent Mile. The tulip display is reported to be considerably ahead of the traditional May tulip time but who cares? 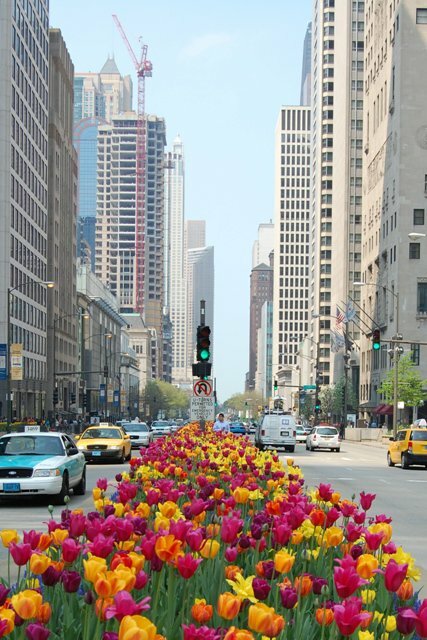 Chicago has so much else to offer and the plantings that replace the tulips are outrageously grand all summer. With a name like Holland you expect tulips. The Michigan namesake town hosts perhaps the best known and most elaborate festival. An estimated 6 million tulips bloom in city parks and along 6 miles of streets. This year’s Tulip Time Festival is May 5-12. Holland isn’t far from the sandy shores of Lake Michigan. A ferry from nearby Muskegon crosses to Milwaukee in 2.5 hours, saving hours of driving, while adding a nautical element to a spring visit. Go further west, and you’ll find a Dutch touch in Pella Iowa, southeast of Des Moines. A working windmill, built in 2002, is a focal point of the Vermeer Mill and Interpretive Center. This wheat grinding model, which looks like those in the Netherlands, is considerably more picturesque than the modern wind turbine. Pella’s tulip bash is May 3-5. In northwest Iowa, a bit of tulipmania grows in Orange City with the Tulip Festival , May 17-19. 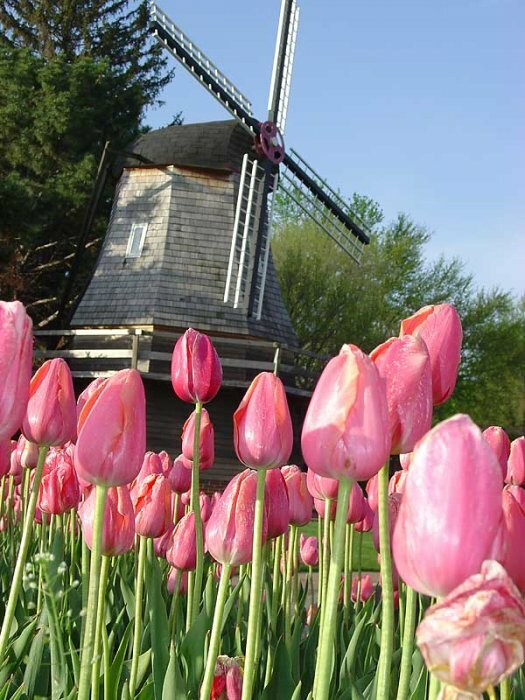 Topeka, Kan. holds its Tulip Time Festival April 7-23. According to the April issue of Midwest Living, there are 200,000 tulips and daffodils blooming a historic sites around town. The current issue also lists other flower-theme festivals. Besides festivals, tulips are practically de rigueur in public gardens. The one nearest you probably has a display to make spring that much brighter. So check it out. I love tulips, but I had stopped planting them as the squirrels always dug them up and carted them off. Then a gardener friend told me to plant them and cover them with chicken wire. Add a few inches of soil on top of that, and you have “squirrel-proof” tulips! Of course, if you have deer, THEY will still eat your tulips buds!